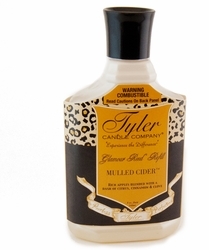 Tyler Glamour Reed Refills are designed to refill the Tyler Glamour Reed Vessel, but will work great in your own custom diffuser jar. 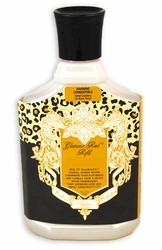 These Glamour scents are so fabulous you will want more! Size: 8oz | Lasts up to 3 months or more! Each bottle comes with a free set of ten 12" reeds. An invigorating, fresh fragrance as legendary as the leading man who wears it! Spicy, sporty, original, and truly unforgettable! Notes of sandalwood blend with ambergris, violet leaves, French verbena, and Florentine iris to create the ultimate aromasensory experience! Sensual lily of the valley intertwined with citrus and rose. Very dramatic and overdone! Sun baked Italian figs mixed with a hint of sandalwood and musk. Enticingly different and extremely memorable! Pure orange and rich vanilla bean blend together with a hint of spice to create an invitingly clean year round favorite! A truly dramatic feature! For the women to which glamour is not an option, but a true necessity! Voluptuous vetiver, vanilla and heliotrope combined with violet and jasmine make up the heart of this creation, then mandarin, succulent peaches & green ivy complete the soul!